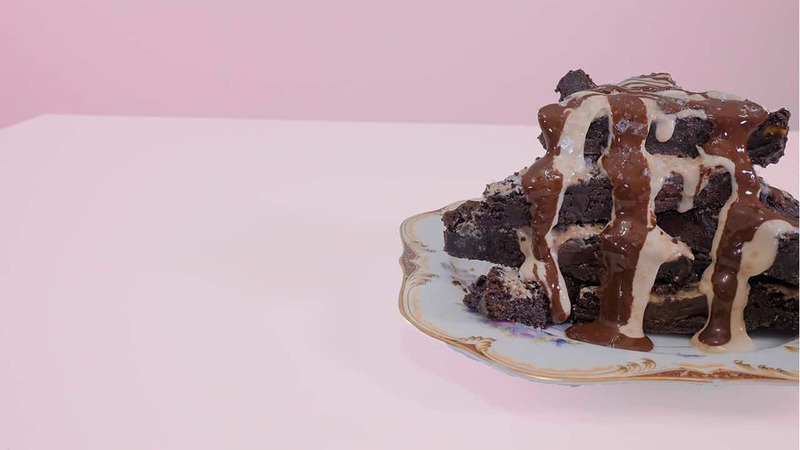 Tahini drizzled on top of fudgy dark chocolate vegan brownies? Have we gone too far? 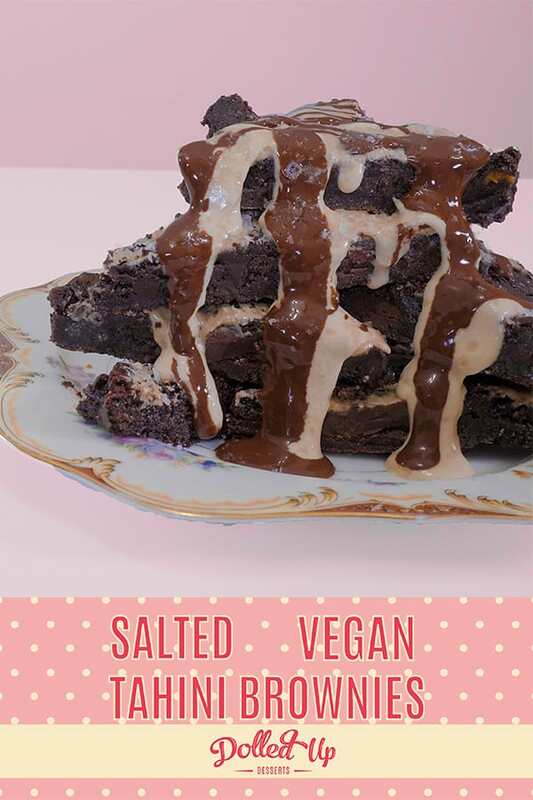 Get creative with our unique twist on our classic vegan and gluten free brownies with a drizzle of tahini, sea salt and super dark chocolate. There really is no better way to get creative with your brownies. Let’s get baking! That was my initial thought when one of our lovely bakers suggested we make these for our latest recipe. Tahini is great, but on falafel and middle eastern food... but fudgy brownies? Why aren't you already baking? 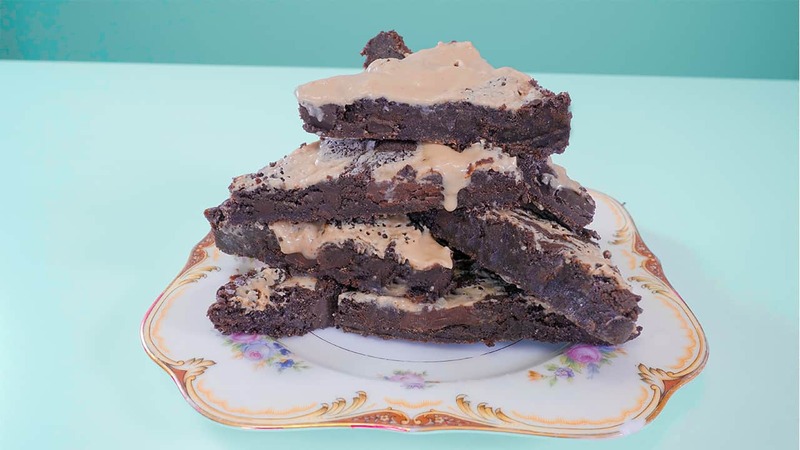 As always, they are free from gluten, dairy, eggs, soy, peanuts (contains almonds)... they are a great alternative to PB drizzle brownies for anyone who is allergic to peanut butter. Simple and delicious. Let us know what you think of this recipe, and if you make it, share it on social media and tag us! We love to see your creations! Meet peanut butter's biggest competitor: tahini! Although it seems strange, these dark chocolate fudgy brownies are brought to a whole new level with tahini and flaked sea salt. A super simple recipe you can whip up any day or night to be creative! Preheat oven to 350°F. Line 9x9" baking sheet with parchment paper or grease lightly with coconut oil. Combine coconut oil, melted chocolate, white sugar and sweet potato in a bowl. Mix well using a silicone spatula. Mix in baking mix until fully combined and no dry pockets present. Pour and spread brownie batter into a 9x9" baking pan. Top with chocolate chunks and press into batter. Drizzle tahini evenly on top of brownies. Sprinkle on half the sea salt. Bake for 25 minutes. Sprinkle remaining salt on top once out of oven. Let cool completely prior to cutting and serving. 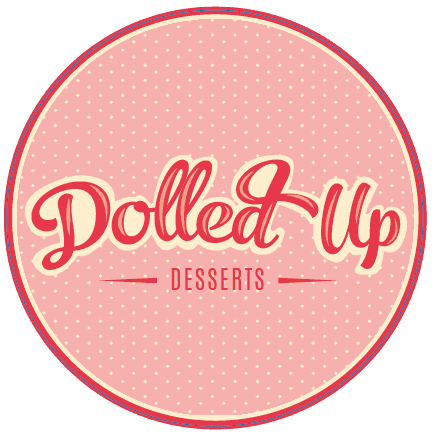 Brownies can be stored in an airtight container at room temperature for 2 days, in the fridge for 1 week or in the freezer for up to 3 months. Best kept in the freezer immediately to retain maximal moisture.